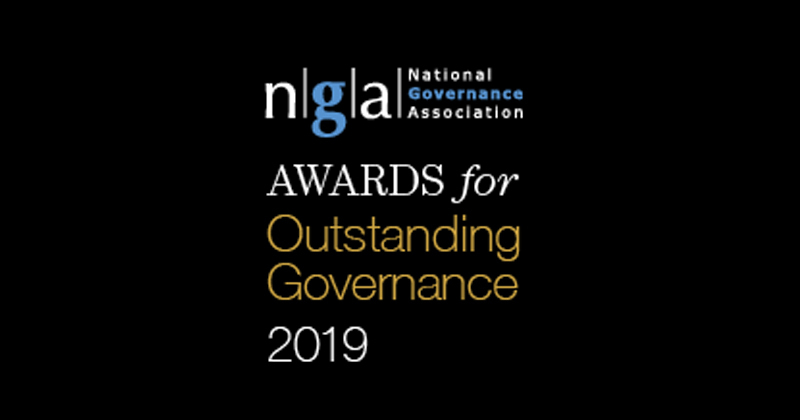 Schools have just over a month left to nominate governors, trustees and clerks for the National Governance Association’s prestigious Outstanding Governance Awards 2019. The biannual awards ceremony, which recognises and celebrates the best examples of school governance, will take place in May 2019. Nominations are welcome up to December 3, 2018. The NGA awards are the only national education awards to recognise the contribution of governors, trustees, and clerks and aim to highlight best practice that can be shared across the school system. The categories open for nominations this year are as follows. This award looks at how the governing board fulfils its core functions, based on the NGA’s eight elements of effective governance. Nominees must have gone beyond the basics of their responsibilities to have a significant impact on their school. Taking into account the different challenges and opportunities in governing a group of schools, this award recognises a board of a trust or federation that has shown outstanding leadership and created positive outcomes. Nominees must explain how the governance structure of the schools has developed since formation, and what lessons have been learned. This award recognises a board governing a single or group of schools that has an “inspiring vision”, and can show how progress is being made towards achieving that vision with a clear strategy. For over a decade, the Outstanding Governance Awards have recognised the importance of a professional clerk in ensuring the effectiveness of a governing board. This award will go to a clerk who has shown outstanding practice and had a strong positive impact on the work of the board. Entries can be submitted using the NGA’s nomination forms. Last year’s awards, held in September 2017, saw twelve governing bodies and five clerks recognised as national finalists. A spokesperson for the NGA said nominations are encouraged from governing boards and clerks themselves, as well as from others they work with. “Governing boards and clerks give so much to their school and those that have gone beyond the basics of their core responsibilities to have a significant impact on their school deserve recognition and thanks.